In addition to our main events there are a number of other special activities for runners and their families and friends during marathon weekend. 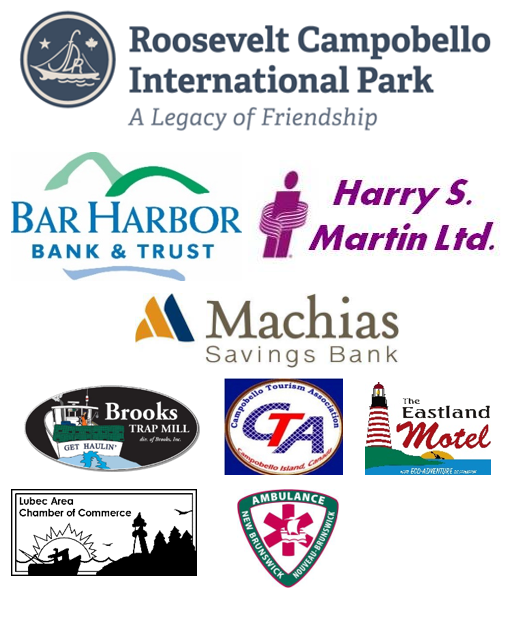 Saturday: 8:00am-9:00am ET 5K Running Tour of Lubec – Complimentary. Come and learn a little about the history and geography of Lubec on a gentle 5K guided tour of the town. Please note this is a running tour and the guide will lead with a pace of around 10.5 mins/mile 6.5 mins/km with short stops at points of interest. If you want to go slower or faster it might not be right for you. The guide will not wait, nor speed up or provide directions in advance. The tour includes a short section of wet sandy beach so you may not want to choose your best marathon shoes. Saturday: 9:00am – 2:00pm ET Street Fair – Complimentary. Features local artists, craftspeople, non-profit booths, musicians, food vendors, and the Lubec Brewery Beer Garden. On Water Street right next to the Finish Line. Sunday: 5:30-9:30pm AT An Evening at the Cottage (Marathon Special at Roosevelt Park) – Entry Fee – includes martinis and dinner. Reservations are essential: https://fdr.simpletix.com/event-detail.aspx?ShowId=42619 (prices in Canadian Dollars). Take part in a ‘presidential’ cocktail hour at the historic Adams Lodge, featuring a short program presented by Park Interpreters on Prohibition, FDR’s love of ‘cocktail hour’, and the history of summer parties on Campobello Island while enjoying a taste of FDR’s own martini recipe (non-alcoholic options will also be provided). Guests will then enjoy an exclusive, ‘behind-the-ropes’, curated tour of Roosevelt Cottage with Park Interpreters. Following the tour, an ‘East Coast Feast’ of haddock or chicken (or a vegetarian option) will be served at Prince Cottage. “Tea with Eleanor” program – a 60 minute program on the story of Eleanor Roosevelt’s life and love of Campobello accompanied by tea and cookies. Then, experience the F.U.N. Tour – the Fantastic, Unbelievable, and definitely Not-ordinary tour – which is fun, fast, and participatory, exploring the hidden secrets, scandalous stories, and tall tales of the Park and its grounds (60 minutes).